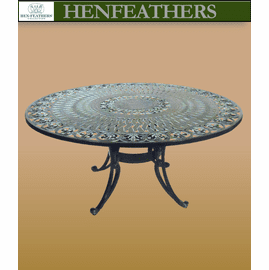 Our Belle Table is an heirloom quality patio table with a beautiful flour de lis design. 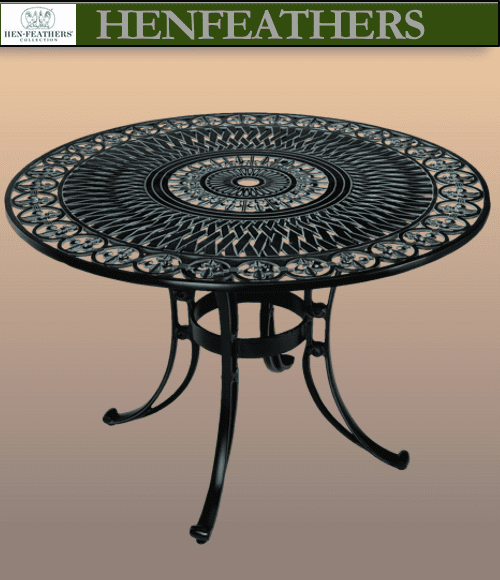 The 42" diameter table is a wonderful addition for the home, patio, terrace, that secret garden nook or indoor space. 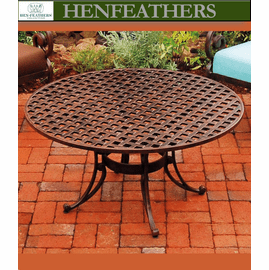 A great poolside conversation table as well. 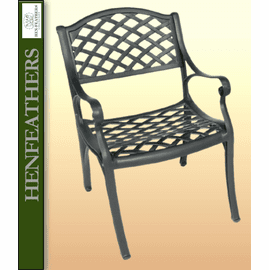 This design is a perfect matching piece in several of our garden furniture collections, such as the Chateau and Chambord Garden Furniture Collections. The chairs from these collections are wonderful matches for this table and the matching Belle Conversation Table . 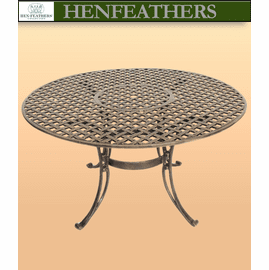 These tables are American made in Cast Aluminum and are welded, prepped, painted and hand finished with reliability and longevity in mind. Our unique finishing process gives every piece the strength to withstand the harshest of elements without surrendering any of its character. Each piece is sanded, brushed and painted by hand. Available in all color finishes shown in the chart below. Specify your color selection in the comment box at check-out. NOTE: In the case of larger oversized items there is an additional handling charge of $59 to $159, or a Freight/Truck charge based upon your location. Special Order. The Belle Table fits our Chateau Furniture Collection. 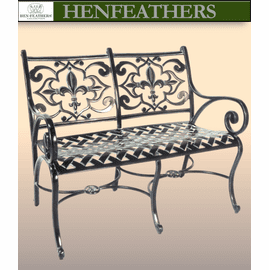 See the entire Chateau Furniture Collection along with special set pricing at Chateau Furniture Collection.